The City Mall has been spectacular this year. The Purple Ash, (Fraxinus americana “Autumn Applause”) are a reliable display of color. They color early, and drop their leaves rapidly. They are very hardy and can take periods of drought. They are susceptible to a couple bugs. The wooly aphids have been horrible this year, and they need sprayed in the future. I’ve called Dirk at Cascade Weed and Pest to come down and help me out. Acer x freemanii ‘Jeffersred’ is a tree that I recommend. The freemanii crosses (x freemanii) are crossed with a silver maple, which is a very tough, common maple found throughout the area. Most of the crosses are selected for brilliant fall foliage. Other varieties are Autumn Fantasy, Firefall Maple, Marmo, and Sienna Glen. These are all large vigorous trees, eventually reaching 50′. Rocky Pointe Landscaping provides a fall clean-up service and irrigation blow-outs. 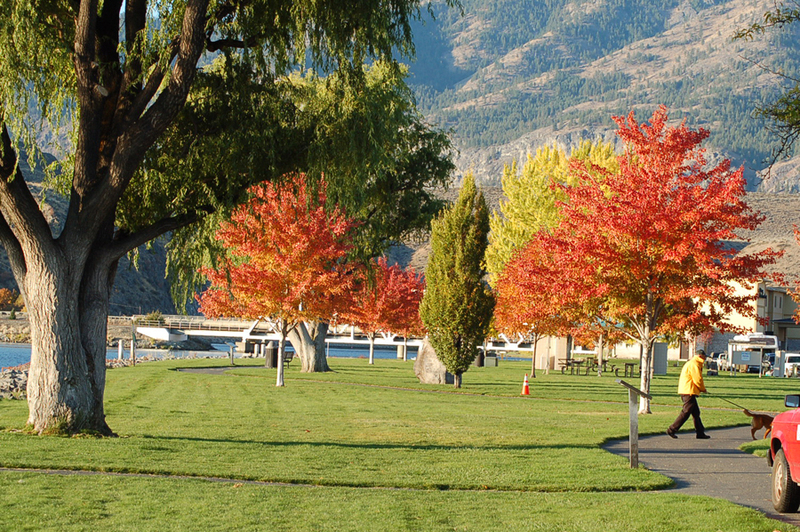 They service Lake Chelan; South Shore, Lakeside, Chelan, Manson, and the Chelan Falls Area. 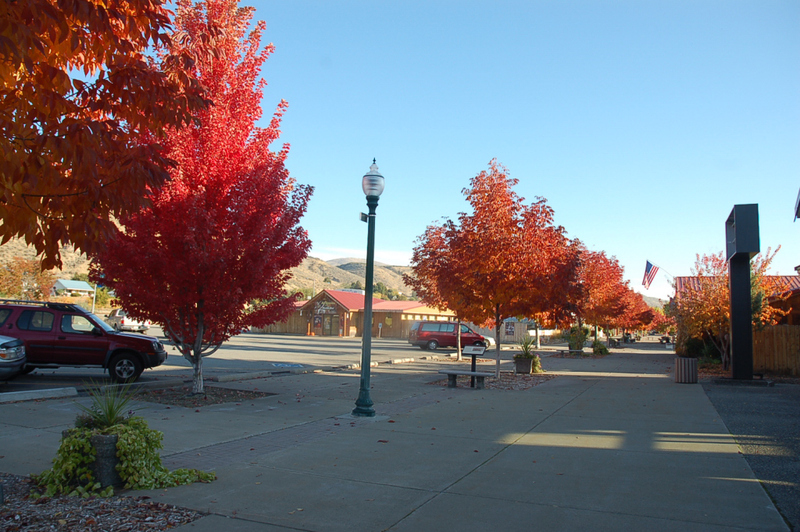 They also service the Okanogan and Methow Vallies; Methow, Twisp, Pateros, Brewster, Bridgeport, Okanogan, and Omak. Call Cascade Mechanical for winter weatherization. Have them check out your HVAC system before the snow flies. Make sure your running efficiently. 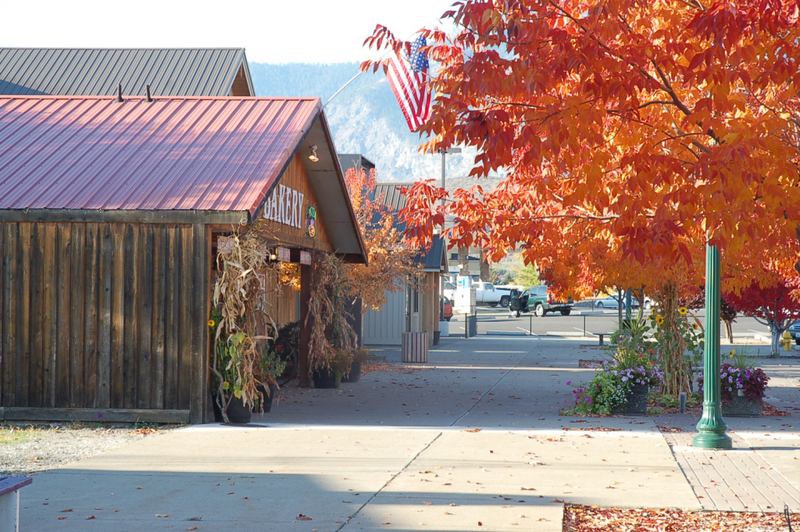 Electric rates keep going up, especially in the Methow Valley and with the Okanogan PUD. Ask Marty what you can do to save electricity this winter. It may be simpler and less costly than you imagine. Trust a professional that will be there to provide you that emergency winter service. Cascade Mechanical serves: The Lake Chelan Area – Manson, Chelan, Lakeside, and South Shores; Methow Valley – Methow, Twisp, and Winthrop; Okanogan Valley- Pateros, Brewster, Okanogan, Omak, Tonasket, and Oroville; I also know that they will go East into Ferry County and service Republic, Malo, and Curlew; Douglas County and South – Bridgeport, Mansfield, Coulee Dam, Electric City, and Coulee City. The days are cooling down. Frost is imminent. The sun, with its long, low rays, mellows its vibrant intensity. Morning start dark and evenings come early. It is time to hang the winter lights on the porch. The fall leaves begin their annual journey to the ground. It is time to clean-up, and prepare for the long chill. Vegetable gardens need cleaned of debris. Destroy/burn plant debris, especially tomatoes, peppers, coles, cabbage, kale, melons, cukes, and squash plants. Rake soils clean of weeds and mulch for the winter. As I clean up my garden, I give my excess vegetables to my geese and chickens. I throw the complete tomato plants to the birds to clean up. Then I can burn the plants they don’t eat. Composting at the end of the season is generally not recommended, because the debris contains a years worth of disease and bugs. I would not be afraid to compost end of the season debris if I had a shredder, and some fresh horse or chicken manure. The fresh manure layered with in the debris should reach warm enough temperatures to sterilize the compost. But why take the chance. Once you get tomato wilt it is difficult to nearly impossible to get rid of. Fall clean-ups are a must for the vegetable garden. Most shrubs should not be pruned to go into fall. Pruning may stimulate growth. Prune in the early spring after the buds begin to break, especially roses. When Spring flowering shrubs are pruned in the fall, the pruning essentially cuts off all the spring flowers. Mophead hydrangeas, forsythia, lilacs, and spirea all have developed the flower buds by fall. Some shrubs need a little bit of added protection to survive our winters. Mophead hydrangeas and roses are an example. Wait until the ground is completely frozen before mulching for winter. This can be clear into November or early December. If they are mulched too early the ground stays too warm for too long and risk damage by January’s brutal freeze. Dead branches should be pruned out of trees at anytime. Sometimes it is easier to do this while leaves are on the trees. It would be better to wait till trees are dormant. Trees absorb the green chlorophyll in the leaves for winter food. That is why the leaves turn color. By allowing the trees to go completely dormant, the tree has the maximum amount of winter food. Prune trees in late winter. Fall watering can be a real trick. As seasonal temperatures begin to fall, water requirements become less.Watering newly planted trees is different than watering established trees. Know your soils. Most of our soils in the area are gravelly/sandy with few areas of clay. 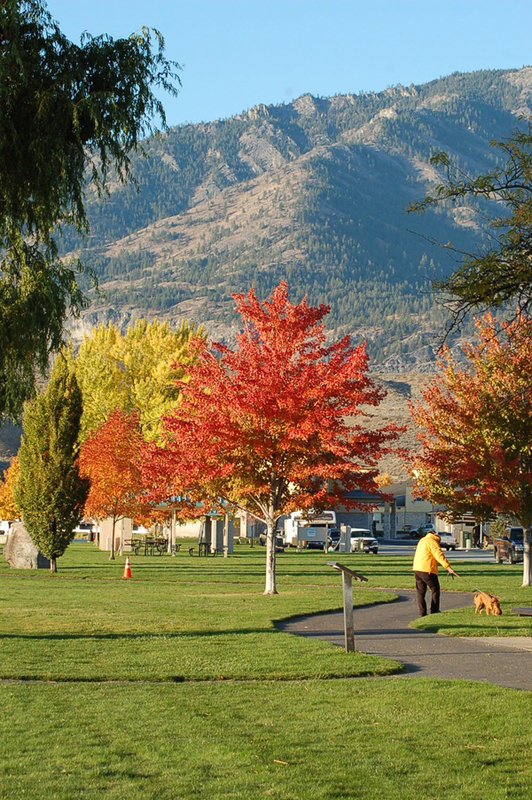 Places around Lake Chelan and in the Okanogan Delta/River-bottom have heavy soils or clay soils. Heavier soils will hold more soil and require less water going into winter. Watering schedules should be scaled back to water established trees. Water as late in the fall as possible, water less frequent, but water deep. Trees should not go into winter with dry roots. Newly planted trees should have water scaled back also. This will help them prepare for winter and begin going into dormancy. It is important not to increase water, fertilize, or prune newly planted trees in the fall. This might trigger a growth spurt that would make them vulnerable to early freezes. It is time to call Rocky Pointe Landscaping to have your irrigation lines blown for the season. Rocky Pointe Landscaping provide full service weatherization to protect your irrigation system from winter damage.